一转眼亚洲最大的室内滑板场-北京Woodward-开业已经三年了, 现在回想起当年开业盛况还是有点不真实的感觉.美国滑板圈的各路大牛都飞跃半个地球来到大兴,职业滑手从Tony Hawk到Ryan Sheckler, 媒体从ESPN到Transworld,还有各大品牌代表…就是比起当年Danny Way飞长城都有过之而无不及, 那个周末的美国滑板圈一定非常安静吧. 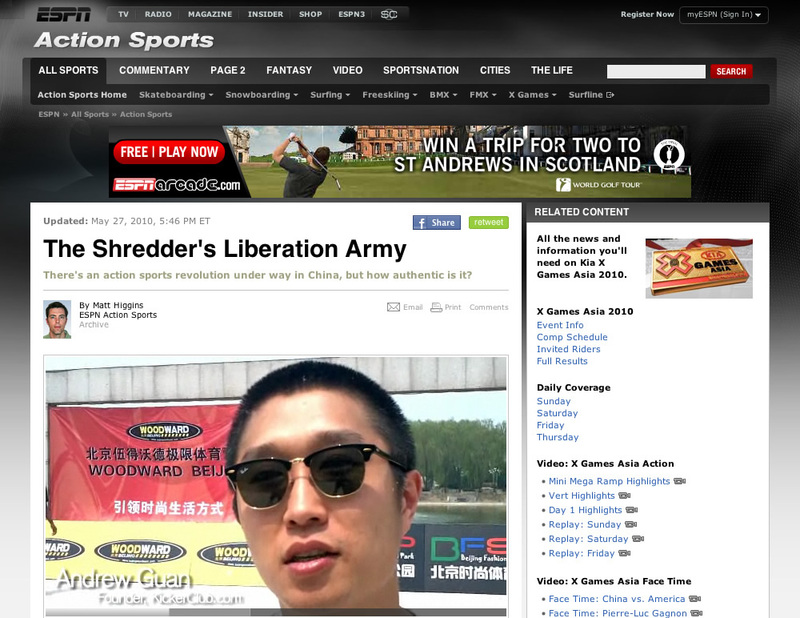 ESPN当年写了一个长篇报道 – The Shredder’s Libration Army. 三年后再读,个中滋味自己体会吧. Another perfect example that skateboarding changed my life. Before 2010 I never thought that ESPN would quote me. Skateboarding made it happen. The Shredder’s Libration Army was written by Matt Higgins during the Woodward Beijing grand opening back in 2010. It’s quite interesting to re-read it now 3 years later. Something changed but something never gonna change… Until one day… Skate for your right!